J & W Tolley, 1 Conduit Street, Regent Street, London. 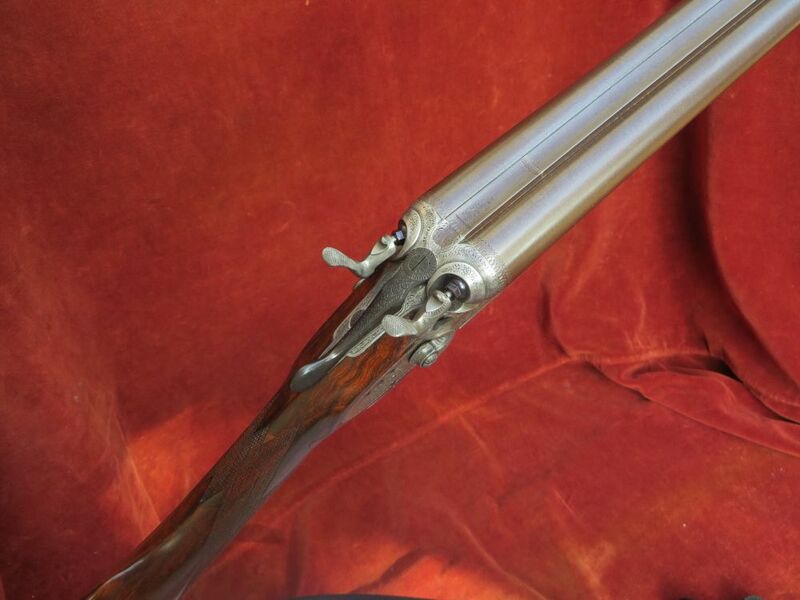 James and William Tolley started in business under their own names around 1859 and became one of the major Birmingham gun manufacturers, producing all qualities of gun for the domestic and export trade. It must be said that they primarily catered to the lower end of the price spectrum but they were certainly capable of producing high quality guns when there was a market. This 16b hammergun most definitely falls into the latter category. Unfortunately, when we took this gun in for restoration, the hammers had been radically shortened, probably with a hack saw. With careful laser welding we managed to restore them to their original size and shape, engraved and properly case hardened to match the rest of the lock patina. 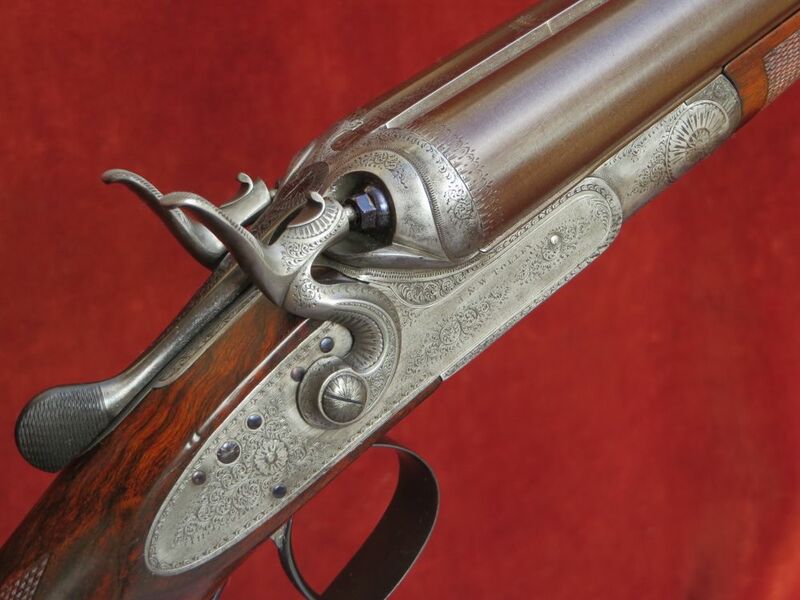 The barrels feature the original recess choke borings as indicated by the use of 'CHOKE', instead of 'NOT FOR BALL', after the bore/muzzle measurements. 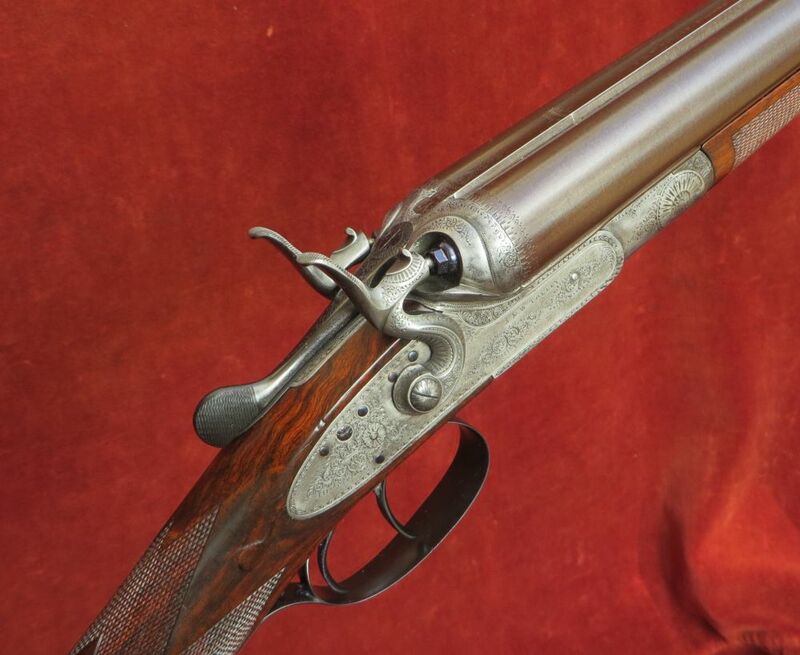 With the engraving still crisp on the locks and action, a nicely figured original stock and damascus barrels, this gun would make a very attractive gun for clays or game. Engraving style: Nicely executed, fine foliate scroll. Barrel short rib stamped 'J&W.T'. The damascus barrels are 30" in length, chambered for 2 ¾ " (70mm) cartridges and are of brazed 'dovetail' lump construction with soft soldered ribs. 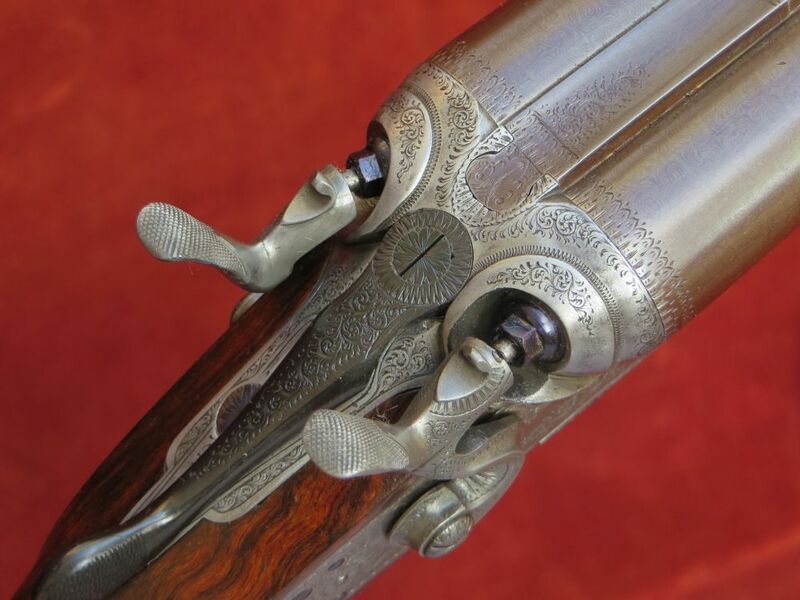 The gun features original recess chokes, as indicated by the word 'CHOKE' in the pre-1887 proof marks instead of 'NOT FOR BALL'. Top rib is of the smooth, concave, game type. There are a few small surface marks in the otherwise bright, clean bores. Birmingham reproof for 70mm nitro powder cartridges in 2016. 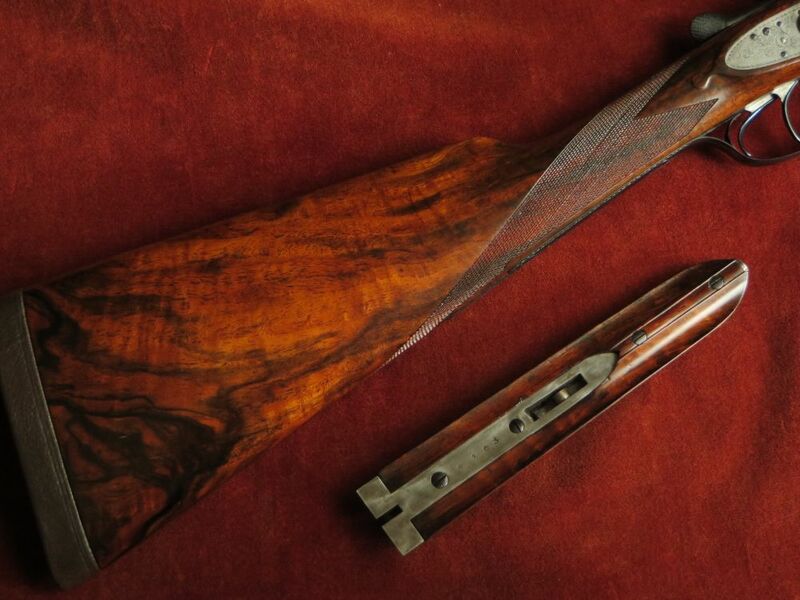 Straight Hand Stock and original Splinter Forend are crafted from highly figured walnut. 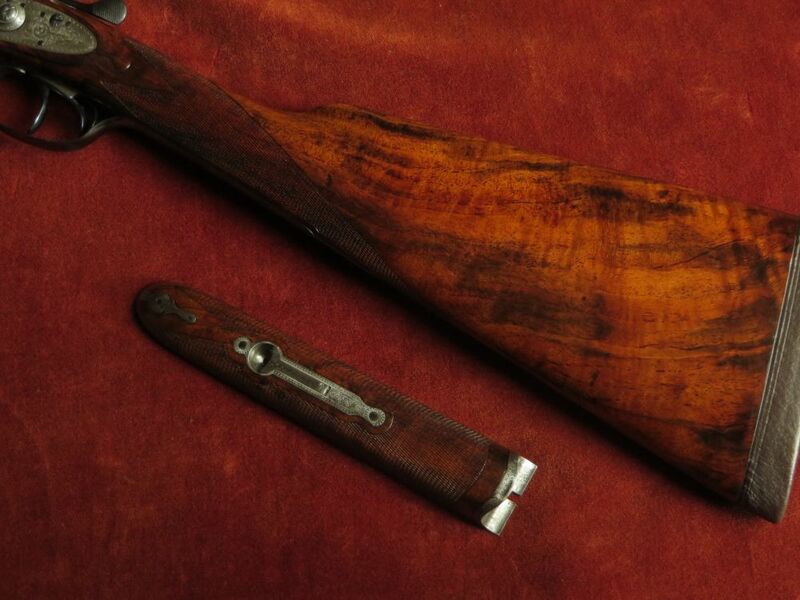 The stock is cast-off for a right-handed shot, features well defined drop points and is finished with a ¾" traditional leather covered recoil pad. 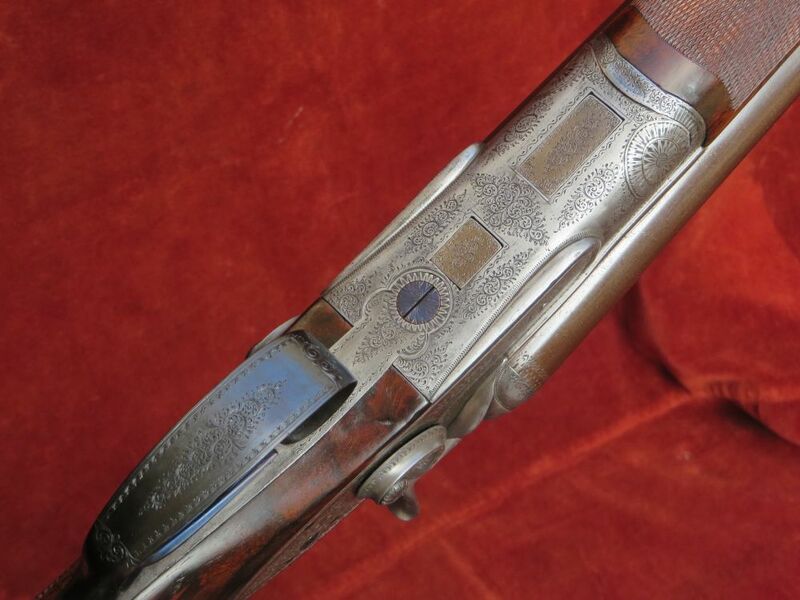 The forend features a finely engraved steel tip. The 26 lines per inch chequering has been refreshed to its original borderless design. Deeley's forend fastener patent no 1422 of 1873.